When the best riders in the world meet an award-winning Chef, live music performances and art installations, you get the Longines Masters, the only event that takes horse jumping higher and brings a new mindset in equestrian glamour! 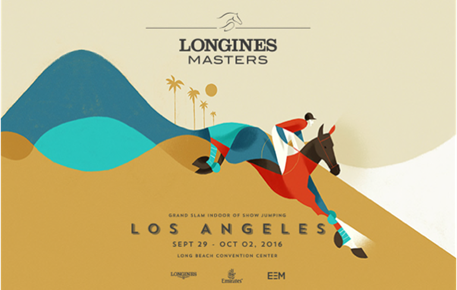 LOS ANGELES (August 10, 2016) – The Longines Masters of Los Angeles, Paris and Hong Kong will start the amazing journey spanning three continents with the American leg taking place September 29 to October 2 at the Long Beach Convention Center, the first major equestrian competition following the current international competition. The Longines Masters of Los Angeles will bring together the best riders in the world for four days of competition and a unique cultural experience. The event will offer guests a custom-designed menu by 2 Michelin star Belgian Chef Yves Mattagne, a live musical performance by world-renowned singer JAIN, art installations from the Long Beach Museum of Art, high-end shopping in the Prestige Village, a star-studded opening Gala, and a Kids Corner with educational experiences and family-friendly activities. The full experience provides unparalleled networking and social opportunities with some of the top businessmen and international brands in the world, while the event’s red carpets are graced by Hollywood notables such as Jessica Springsteen and parents Bruce Springsteen and Patti Scialfa, Jennifer Gates and parents Bill and Melinda Gates, Destry Spielberg and parents Steven Spielberg and Kate Capshaw, actress Kaley Cuoco, Denise Richards, and many more. Longines, the Title Partner and Official Timekeeper of the event, will have an elegant showcase to display some of its most emblematic watch collections. Additional international luxury brands will also be present to offer unique shopping experiences for guests at their exclusive pop-up shops in the Prestige Village. 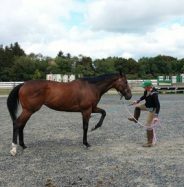 Spectators will be treated to a glimpse of other equestrian disciplines, including dressage and polo. 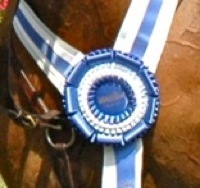 Dressage is as much an art as it is a sport, a skilled form of riding that is known to create a unique and special bond between horse and human. Spanish horseman Santi Serra, who has traveled the world performing and is known for his Sercam shows which involves “natural dressage,” will also give a dazzling performance that demonstrates the graceful movements of horses and the harmonious balance between man and animal. Completing a weekend full of equestrian sports, guests can expect to experience the thrill of a high-speed indoor polo experience when the La Martina Polo Experience at the Longines Masters takes the ring on Saturday. The fast pace and physical contact of the game, the strength and maneuverability of the horses, and the skill and accuracy of the players, makes for a real treat for Longines Masters fans. 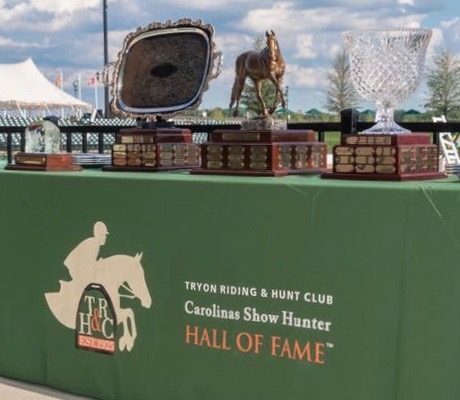 In addition to the family-friendly activities in the Kids Corner, children will enjoy customized educational programs and unique experiences such as meet-and-greets with riders, grooms, and other event staff. Stay connected for further updates and essential information, coming soon! Established in three of the world’s most iconic cities — Los Angeles, Paris and Hong Kong — the Longines Masters Series, “Grand Slam Indoor of Show Jumping” is renowned as one of the most prestigious equestrian events in the world. Created by EEM and inspired by the Grand Slam tennis tournaments, the Series rapidly developed abroad, with the Longines Masters of Hong Kong in 2013 and the Longines Masters of Los Angeles in 2014. In 2015, the intercontinental trilogy became the Longines Masters. The Super Grand Slam, a bonus of 2.25 million Euros for winning 3 consecutive Longines Grand Prix in the same season: Los Angeles, followed by Paris and then Hong Kong. These events are broadcast in more than 120 countries and reach up to 550 million households. Every edition of the Longines Masters is a must-attend event bringing together top-level athletes and amateurs alike, celebrities and corporate decision-makers from around the world, all who come to enjoy a unique experience created by exceptional moments in sport, entertainment, glamour, gastronomy and contemporary art. 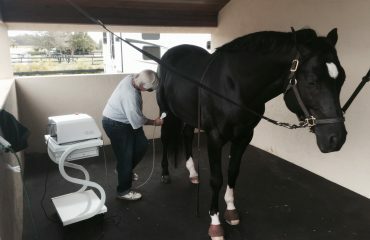 EEM CEO and Founder Christophe Ameeuw and his team have set no less a goal than to reinvent the sport of show jumping. 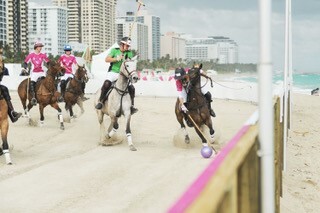 For over ten years they have been dedicated to bringing equestrian sports to the international front stage. Inspired by the legendary tournaments of the tennis Grand Slam, EEM gathers under one roof the best of show jumping, entertainment and lifestyle experience. 2009 was a crucial milestone for EEM with its revival of the “Jumping de Paris” and the creation of the Gucci Paris Masters. EEM then set off to conquer new continents, with an Asian edition which took place in Hong Kong in 2013, followed in 2014 by the first American stage of the Longines Masters in Los Angeles. In 2015 the intercontinental trilogy of which EEM is the creator, owner and organizer, became the Longines Masters “Grand Slam Indoor of Show Jumping”. Said Christophe Ameeuw, “If equestrian sports are a matter of taste, there is still a consensus that no one can question: the beauty of the horse transcends the sportive exploit, and beyond the extraordinary performance of the riders, conveys a feeling of wonder. And this is doubtlessly what makes show jumping universal, transcending countries, cultures and populations. Its treasured values do not need rules to exist. They are shared without effort as a testimonial. There is something profoundly captivating in the competition, like a theatrical play that mesmerises and transports you. Based in Saint-Imier, Switzerland since 1832, the watchmaking expertise of Longines reflects a strong devotion to tradition, elegance and performance. Longines has generations of experience as the official timekeeper for world championships and as a partner of international sports federations. Over the years, Longines has forged solid and lasting ties with the sports world. Known for the elegance of its timepieces, Longines is a member of the Swatch Group Ltd., the world’s leading manufacturer of timekeeping products. Featuring the wingedhourglass as its emblem, the brand operates in more than 150 countries.